The Aga Khan Documentation Center at MIT is collaborating with the Tangier American Institute for Moroccan Studies, in conjunction with Wellesley College’s Center for Work and Service and Program for Middle Eastern Studies to digitize, catalog, and make available on Archnet a collection of glass negatives documenting Tangier and other parts of the western Mediterranean during the early decades of the 20th century. Not only does the collection contain views of some of the more interesting architecture and landscapes in Morocco, but it also documents the construction of administrative buildings and transportation infrastructure at a time when most of it was just taking shape. It also provides a valuable social history of Tangier, containing portraits, as well as images of sporting events and daily life during a period when the city was an international zone. Only a small portion of the images have ever been exhibited prior to their inclusion in Archnet. 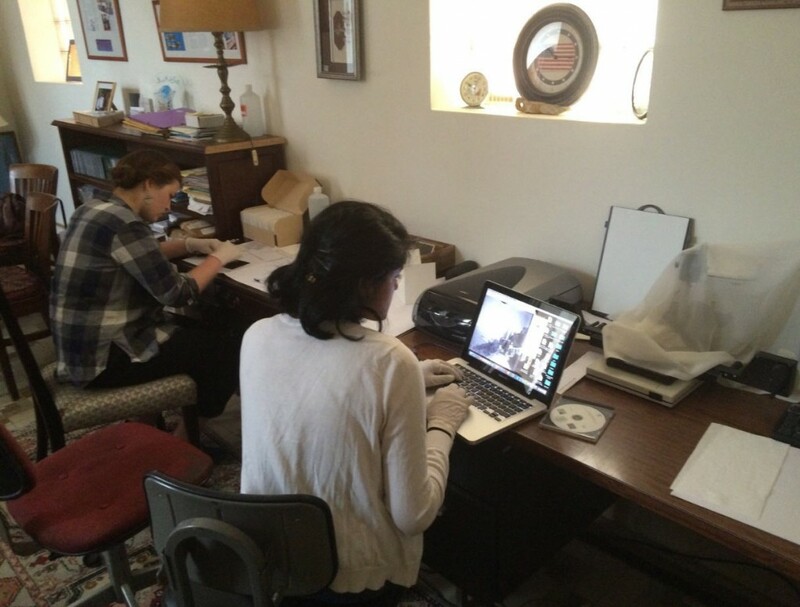 This is the second year that interns from Wellesley College have assisted in the digitization of the negatives at TALIM, and that Michael Toler, Archnet Content Manager, has gone to Tangier to train the interns and prioritize the negatives to be scanned. Michael takes with him a protocol for handling the negatives developed in collaboration with Ann Marie Willer, Preservation Librarian in the MIT Libraries.